A custom-blend condiment of MIRACLE WHIP Dressing and Dijon mustard puts the deluxe in this ham and cheese sandwich. Mix dressing and mustard; spread onto cut sides of roll. Serve with a cold glass of prepared CRYSTAL LIGHT Peach Flavor Iced Tea. 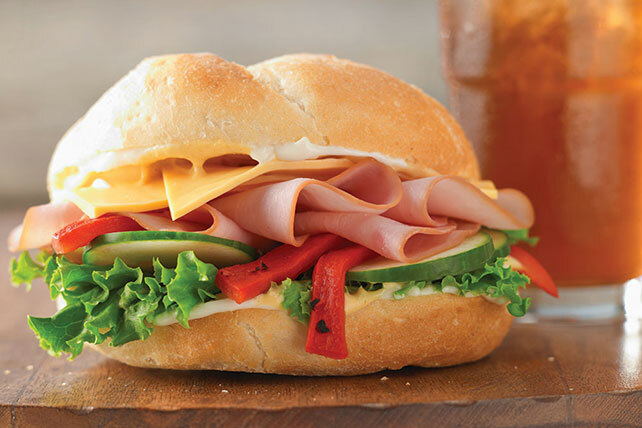 Prepare using your favorite variety of OSCAR MAYER Deli Fresh Ham.